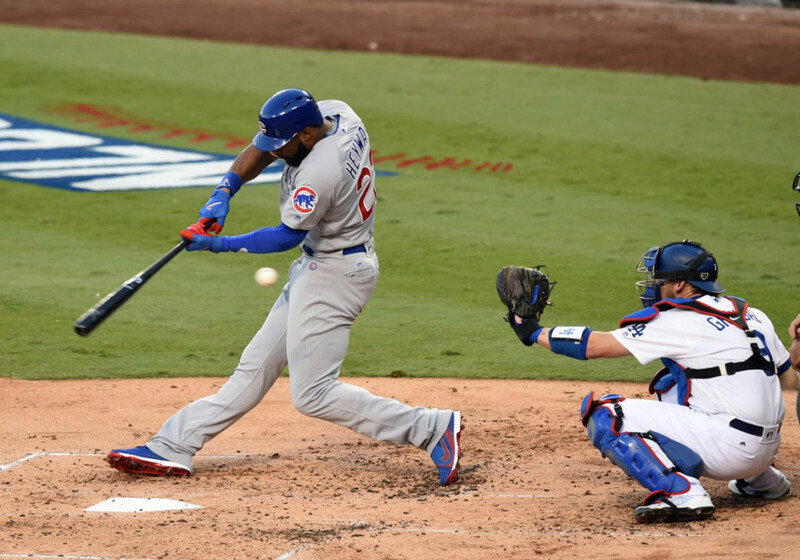 The Chicago Cubs tendency for striking out has returned. After only striking out twice on Monday at home in a makeup game against the Atlanta Braves, the Cubs returned to their old form as soon as the two teams headed to Atlanta to play three games. Over the last two games against Atlanta, the Cubs have struck out 26 times including 11 on Wednesday, when they lost 4-1. Following Wednesday’s loss, Kris Bryant the Cubs third baseman said when you are facing pitchers that throw a slider at 100 mph; just making contact with the ball can be tough. Bryant added that Brandon McCarthy, the Braves pitcher on Wednesday, had a strong sinker and his cutter was playing off that. As it turns out, Bryant is one of the few players on the Cubs who has hit the ball with consistency in the current series with Atlanta. On Wednesday, Bryant was 3-for-4 with the only RBI the Cubs had, but was left on base each time he collected a hit. On Wednesday, the Cubs had one hit in 10 at bats when they had runners in scoring position. Following the game, manager Joe Maddon repeated what has become a common theme; the team must do better at the plate. Javier Baez has not drawn a walk in over 130 plate appearances, and struck out on three occasions Wednesday. Following Baez in the batting order is Kyle Schwarber who struck out twice, with the two combining to leave nine teammates on base. Maddon complained that his players were chasing the ball causing them to get out of their zones. Despite a strong run differential, Chicago is near the bottom when it comes to getting runners home from third when there is one out or less, and below average when it comes to getting a runner to third from second without any outs. Ian Happ was given that opportunity on Wednesday after Addison Russell led off the seventh with a double, but he flied out to right. Maddon insists the players must force the opposing pitcher to put the ball over the plate so they can have better opportunities driving it to where they want.